NASHVILLE, TN (January 16, 2018) -- Bobby Marquez is flashing that signature smile as his original country music leads him into a promising 2018. The year is off to a great start for the singer/songwriter who was just announced as one of the five finalists for the Academy of Western Artists Pure Country Male Performer of the Year. late father-in-law. He inspired my new songs. And Bill Mack, one of my earliest supporters is being honored that night as well." The awards ceremony will be held in Fort Worth at Texas Christian University on Thursday, March 15th. Marquez plans to share his latest single, "The Cowboy Way," that weekend. The song is featured on his new EP along with a duet with the legendary Johnny Rodriguez. In the meantime, Marquez hits the road in February for the first dates on his Honky Tonkin Cowboy Tour. Appropriately, the first shows will take place in the city he once called home, San Antonio, Texas. Bobby Marquez has four shows planned at the San Antonio Stockshow and Rodeo, the weekends of February 10th and February 17th and 18th. Fans can view the upcoming schedule and find updates at www.bobbymarquez.com. Bobby Marquez is fresh off a huge 2017. He was just awarded the first-ever CMA of Texas Cowboy/Western Artist Award. His original tune, "The Cowboy Way," was designated the theme song of the annual Gene Autry Museum Festival in Oklahoma. Bobby Marquez was also nominated for a R.O.P.E. award for Songwriter of the Year. Marquez is a proud supporter of the Ernest Tubb Midnite Jamboree serving as an annual host. The singer/songwriter is also a member of the Wheeling Jamboree. In 2015, the CMA of Texas named Bobby Marquez the Independent Artist of the Year. A self-titled album described in reviews as the real-deal won acclaim overseas and was picked as an album of the year by the Country Music People Magazine, going on to earn top-selling country album in the U.K. and an award nomination in Australia at their annual country awards event in Canberra. Marquez hosts and organizes the annual St. Jude Benefit, Country With Heart. 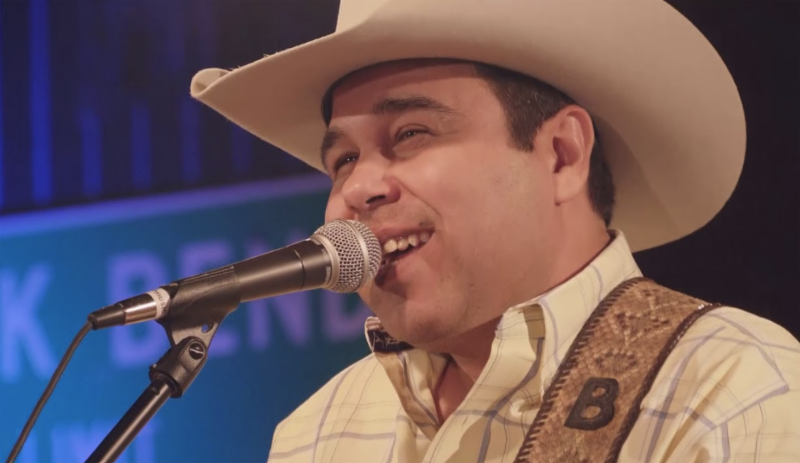 Marquez's songs have been recorded by George Strait, Alan Jackson, Ty Herndon and Johnny Rodriguez.